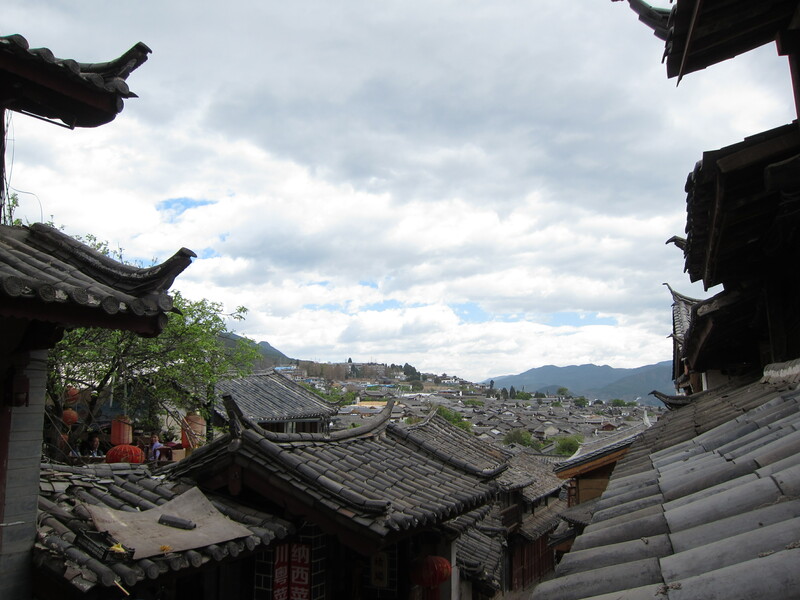 The Old Town of Lijiang, Yunnan, China. 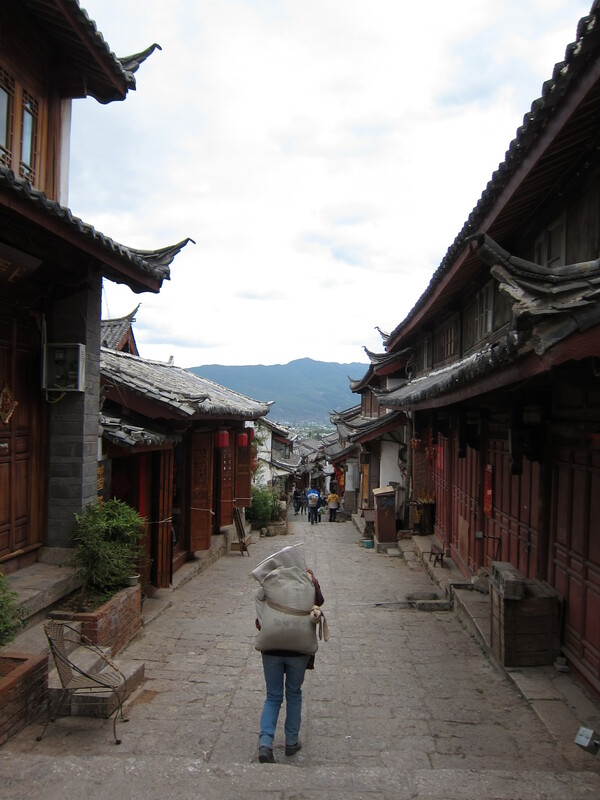 Further north of Shaxi, higher in altitude and closer to Tibet, the old town of Lijiang was the next stop on the Yunnan tourist trail. 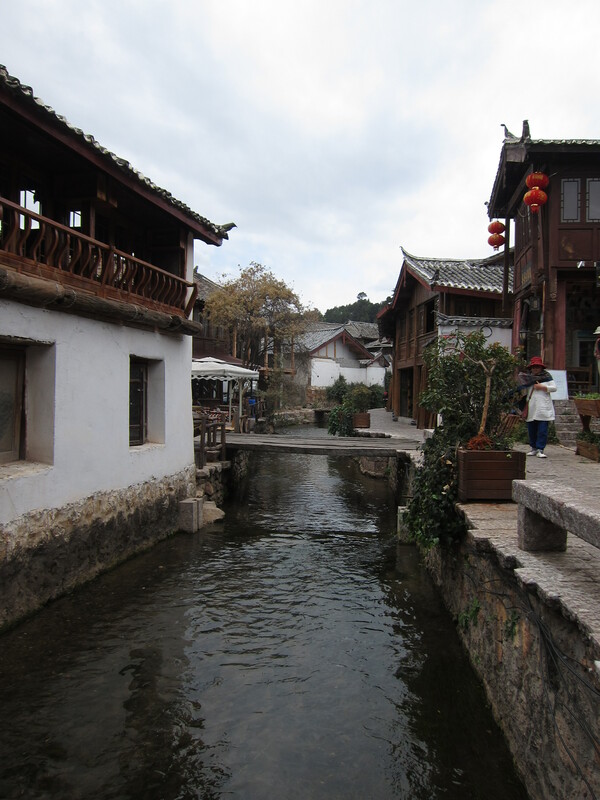 In ancient times Lijiang also happened to be the next stop on the historic Tea Horse road. 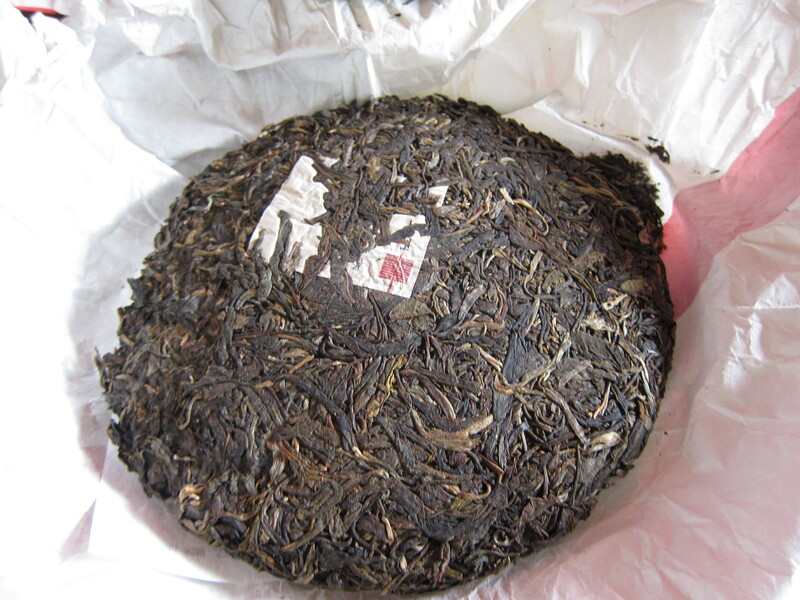 A cake of Yunnan Pu’er tea. 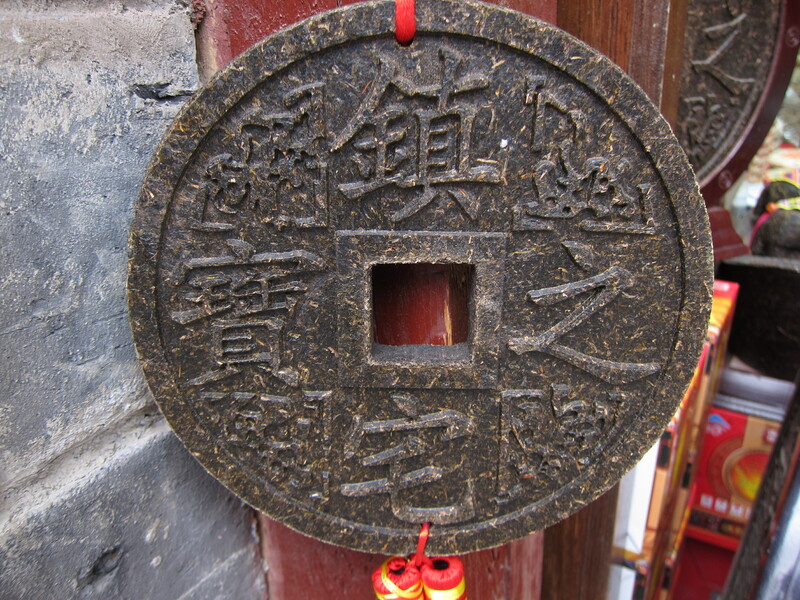 In ancient times, tea was compressed into cakes or bricks for easier transport over the long journey to Tibet. Just break off a piece, brew and drink! 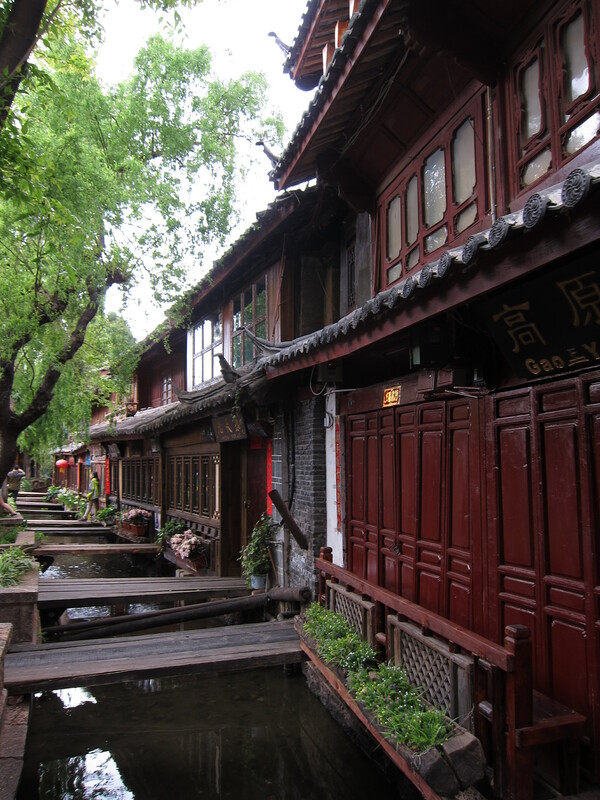 Like Dali, regrettably, Lijiang had also undergone a certain Disneyfication and was full of the same types of restaurants, street food stalls and souvenir shops. As I walked around the “old” town I passed by open air nightclubs with young women in pseudo-traditional dress performing to a sort of generic “traditional” music that blended a Chinese style with African drums. Watching for a few minutes from the sidelines, I found the shows were reminiscent of the same laissez-faire creative license as in a Bollywood production, and clearly had no authenticity in representing any of the minority ethnic groups present in Yunnan. For me the only redeeming factors that Lijiang could boast over Dali were its location on a hillside that lent itself to more interesting photo opportunities; and its larger size which made it easier to get away from the hordes of Chinese holiday makers. 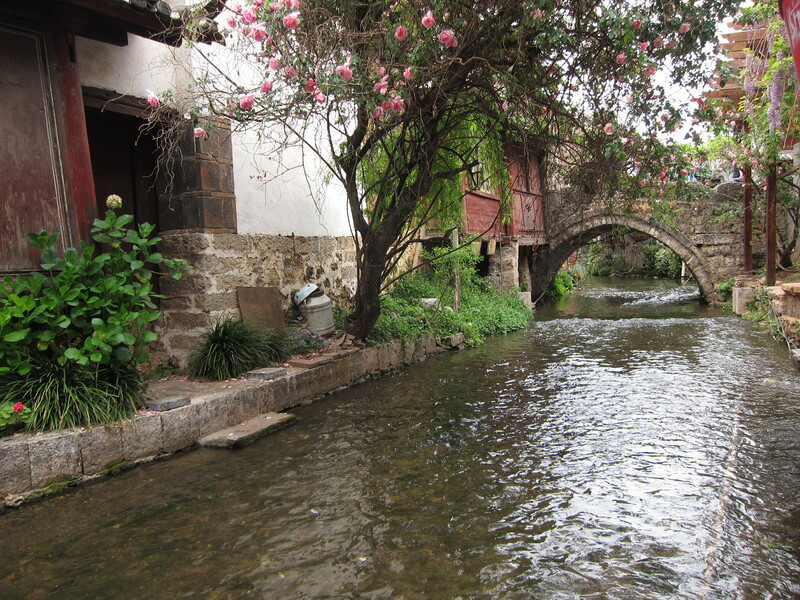 In fact, one Chinese native told me Lijiang was so popular as a Chinese tourist destination that the city kept expanding and adding on new, but old-looking, sections of the “old” town, conjured right out of the thin mountain air. After spending a few days exploring and taking photos, I confirmed my initial reaction to Lijiang, which was: get me outta here ASAP! 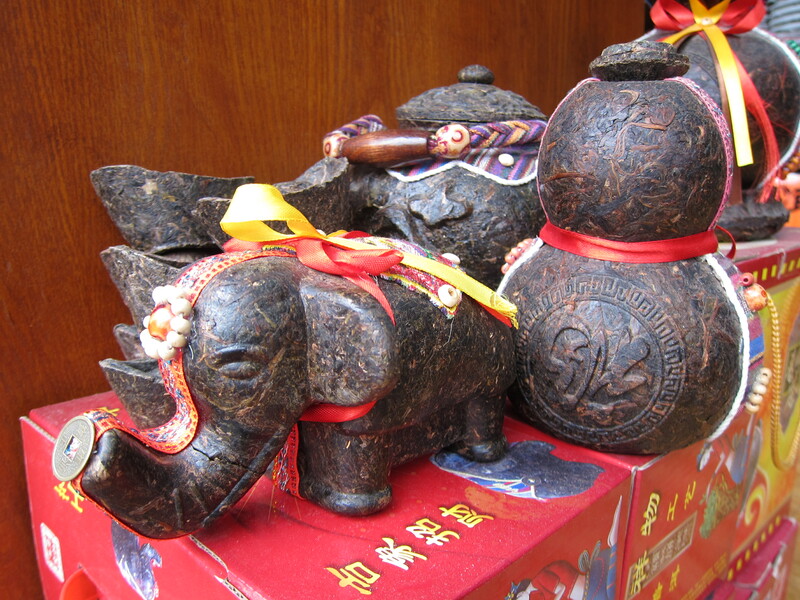 These days Pu’er tea is often pressed into fancy shapes. I think people buy these shapes to display as artwork rather than to actually break off pieces to brew tea. 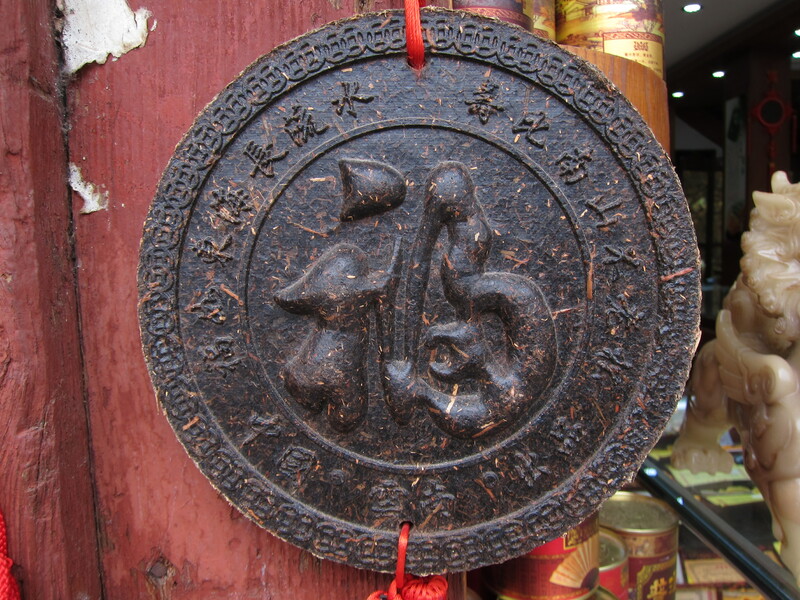 Another variation of the tea disk.